Born in Berlin on June 27, 1920, Werner Karl Angress, along with the rest of his Jewish family, fled to Amsterdam, Holland from Nazi Germany in 1937. 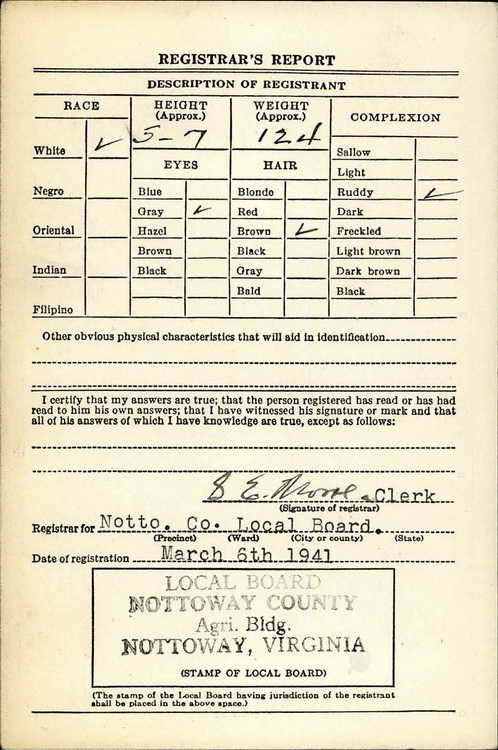 He made his way to the United States two years afterward. 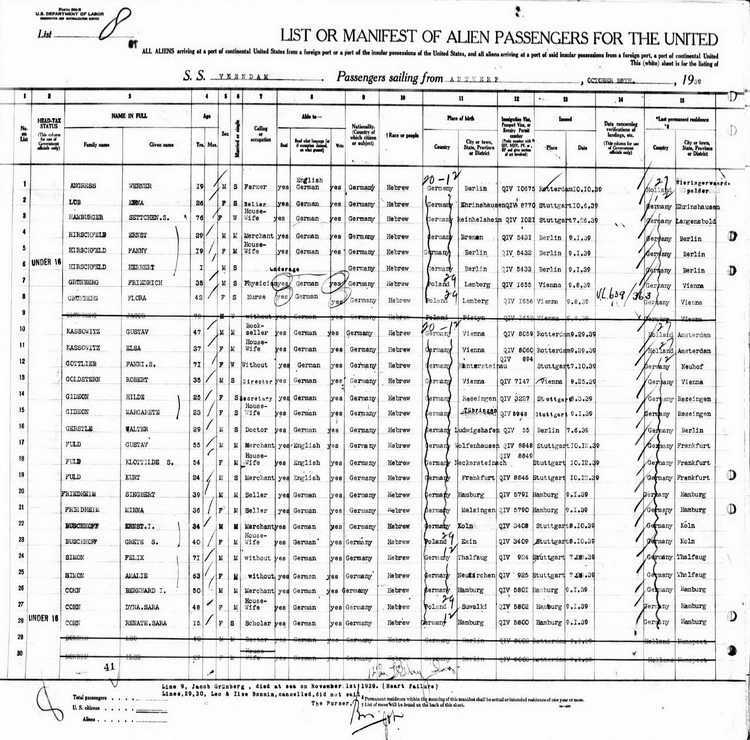 Werner set sail from Antwerp on 28 October 1939 aboard the SS Veendam and arrived in New York, NY on 10 November. 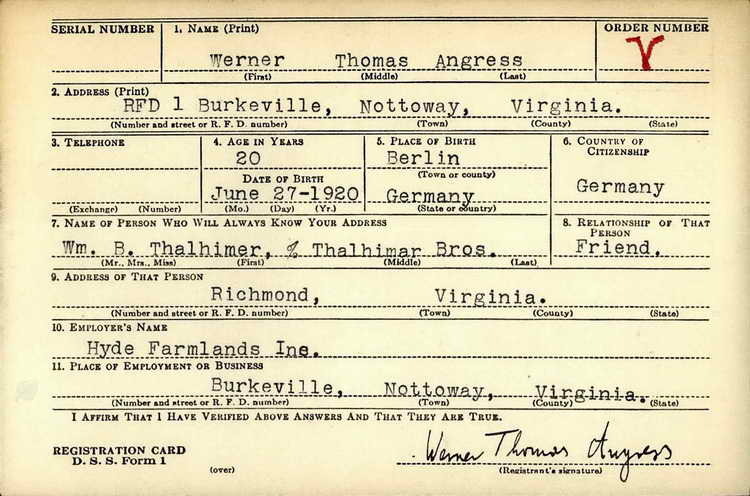 Two years later, Werner registered for the draft on 6 March 1941 using the adopted middle name of Thomas and became known to most as "Tom" He had applied for U.S. citizenship but before his naturalization took place, he was drafted into the Army on 7 May 1941. Attached to the 508th, Tom his very first jump when he parachuted into France on D-Day. apparently his four month of training had focused on other subjects! Nonetheless he made a good landing but was unable to establish contact with his stick members. He apparently was able, however, to link up with other U.S. soldiers. Following the war Tom earned a Bachelor of Arts in history at Wesleyan University and then a PhD from the University of California at Berkeley. He taught at Berkeley and then, for 25 years, at the State University of New York (SUNY) at Stony Brook where he was twice honored with prestigious awards. After his retirement he returned to Berlin in 1988 where he remained until his death in 2010. German made jump for U.S.
BERLIN (AP) - He could have been a welcome guest at the D-Day commemorations: a U.S. Army veteran who parachuted into the pitch-black night over Normandy, survived being captured by the Germans and fought on to the end of the war. He certainly would have been an unusual figure in Normandy: not an old farm boy from the Midwest or a grocer's son from Brooklyn. Werner T. Angress was born in Berlin. 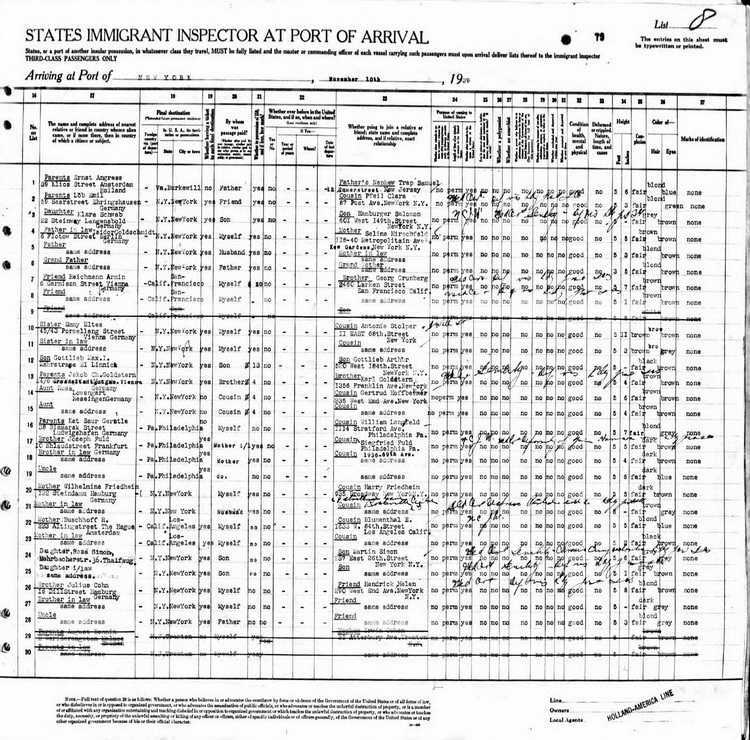 A Jew, he escaped to Britain with his family in October 1937 and later, via the Netherlands, reached the United States. He joined the US. Army, volunteered for Europe and interrogated German POWs. After the war, the GI Bill got him an education and he became professor of modern European history, taught at the University of California at Berkeley and the State University of New York at Stony Brook. Angress was spending the 50th anniversary of D-Day with friends and family in Berlin, where he lives now, after retiring in 1988. He observes the events in Normandy with some skepticism. "It's being turned into a circus," Angress said in an interview. "Sometime later I'll go over there quietly with my wife, but I don't want to be part of the hullabaloo." Little of what the world now sees as the reason for the huge amphibious landing at Normandy was in Sgt Angress's thoughts as he jumped 50 years ago. The aim was to get out the door, land safely and try to do a dangerous job. There was no ideology in my mind, you know, soldiers are concerned with very practical things," he said, still fit and wiry at 73. Much later, he said, his buddies would get him to talk with questions like, "Isn't it strange to be fighting with the Americans against people you could have gone to school with?" "I would say that we were fighting against the Nazis. I could contribute because of the coincidence that I talked German,"